Aquatint engraving by George Lewis and John Buckler after the drawings of John Buckler, published in Surrey in 1808. George Lewis (1782-1871) was an artist and aquatint engraver who lived and worked in London and produced very fine prints after his contemporaries. 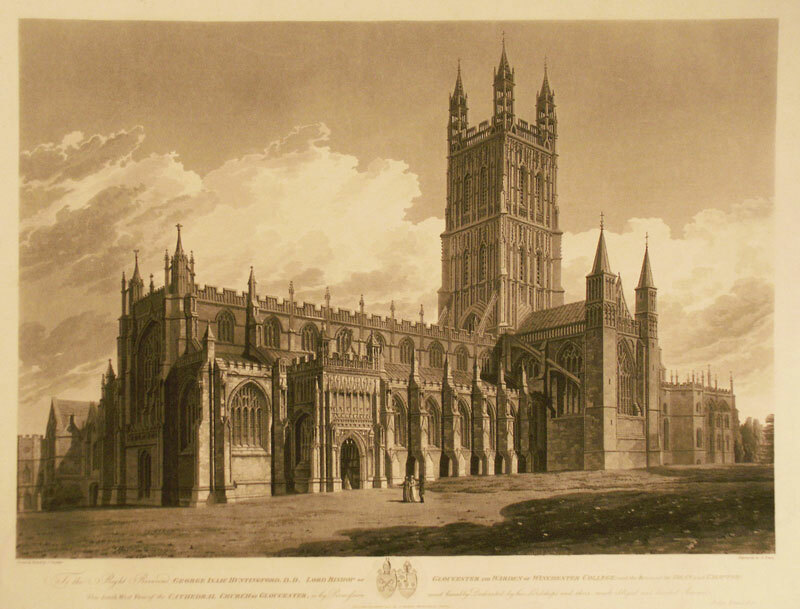 This view of Gloucester Cathedral captures the majesty of its architecture at a time when many people toured the country in search of the picturesque and interest in English topography was reaching new heights.